Guy Writes He's Not Home On Mattress To Fool Police: A fugitive in Florida thought he would help the police by leaving them a message, on a mattress. Jesse Pack from Bunnell, Florida, had a warrant out for kidnapping and assault charges so the cops went to his house on Sunday and the woman there said Jesse was gone but that he'd left them a message. 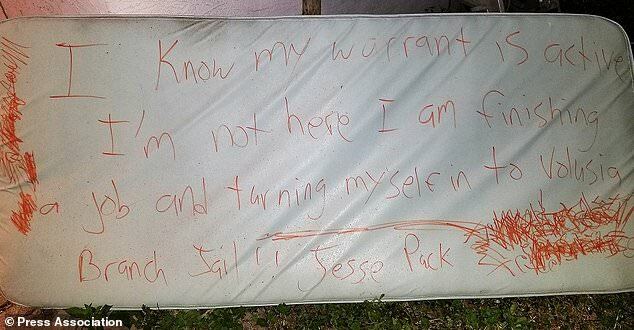 Jesse had written on a mattress in orange magic marker, quote, "I know my warrant is active. I'm not here, I am finishing a job and turning myself in." 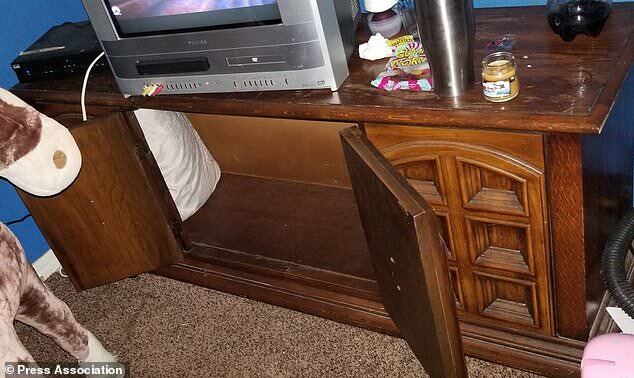 For some reason, the cops weren't totally convinced and searched the rest of the house where they found Jesse in a dresser. He was arrested without any further incident.